Houston-based Saint Arnold Brewing Company has brewed a limited edition beer, Gordon’s TerraForm, to raise money for the Grant Gordon Foundation. The organization, founded in 2015, educates patients and their families on the chemical effects of multiple sclerosis (MS) on the brain, which can lead to mental health issues. The beer debuts at The Hay Merchant at 1100 Westheimer on Wednesday, August 9 at 3 p.m. It will also be sold at the Saint Arnold tap room. Wagner, Floyd and Shepherd will be present for the launch party at The Hay Merchant. In addition, proceeds from the sales of two special dishes—Shepherd’s smoked beer can chicken and Saint Arnold chef Ryan Savoie’s housemade Amber Ale Bratwurst—will also go to the foundation. 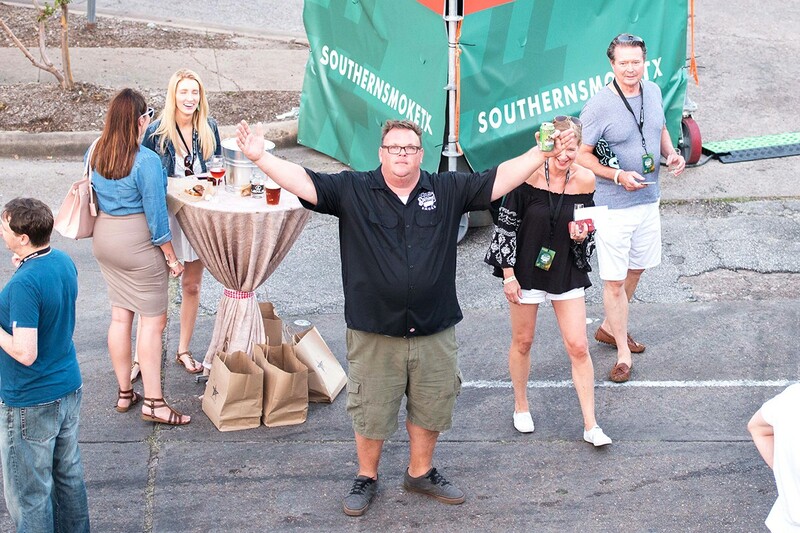 One lucky attendee will win a ticket to this year’s Southern Smoke fundraiser. 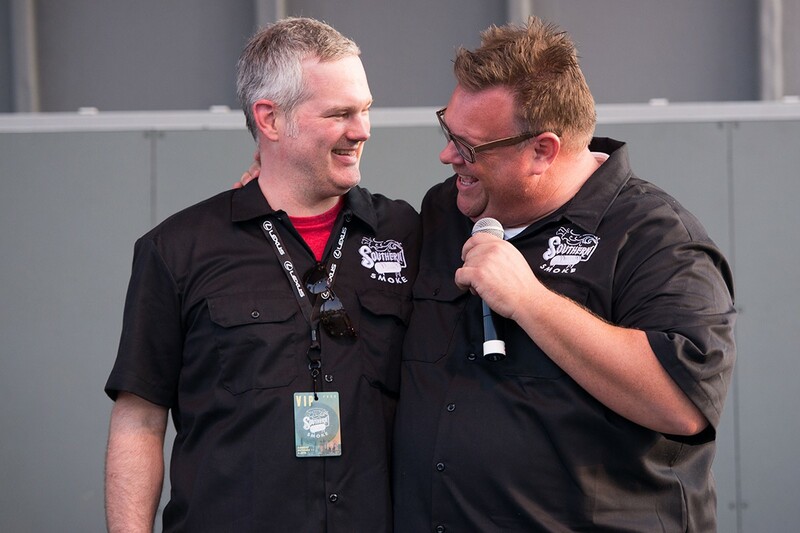 Chef Chris Shepherd of Underbelly and The Hay Merchant at the 2016 Southern Smoke event, which raises money to fight MS.
A few days later—Friday, August 11—there’s a second release party at Saint Arnold Brewing Company at 2000 Lyons (and a second opportunity to score a ticket to Southern Smoke). The event coincides with Pint Night and Gordon’s TerraForm will be available at the brewery until it’s sold out. The benefitting foundation’s namesake was MS sufferer, Grant Gordon (formerly executive chef of Tony’s, Vallone’s and would-be partner of The Edmont, which he never had the chance to open). His suicide after his diagnosis shocked and saddened Houston’s dining community. The only positive aspect of the tragedy is that it has led to greater awareness that MS affects the mind as well as the body. Some studies have found that, without intervention, patients with MS are twice more likely to take their own lives than healthy individuals. Later, when sommelier Antonio Gianola was also diagnosed with MS, Shepherd (who used to work with Gianola at a previous restaurant) founded the Southern Smoke fundraiser for the National Multiple Sclerosis Society, now in its third year. Gordon’s mother, Harriet, contacted Shepherd to discuss the possibility of the Grant Gordon Foundation partnering with Southern Smoke. The new Saint Arnold fundraiser beer, Gordon’s TerraForm, is the result. Really, Gordon’s TerraForm is the first of two fundraising beers. A second, Gordon’s TerriorForm, incorporates Texas mustang grapes (a source of wild yeast, as well as fruit) into the brewing process and will be tapped in November or December. There will be a launch party for that beer as well at Saint Arnold Brewing Company, featuring a whole roasted hog and gumbo from Chris Shepherd and Ryan Savoie. Brock, Kevin and Chris, all class acts. Wish I could be there but I’m in Jackson Hole till the end of October. Hope you make a ton of money! Don’t you think it would be beneficial to say what MS stands for somewhere within the article, or maybe a brief one sentence description of what it is? The only place “multiple sclerosis” is mentioned is at the very end or the article when mentioning the Society? Good call and I apologize. I’m a big believer in spelling out acronyms the first time and think I reshuffled paragraphs. Thanks for the catch! We’ll fix it.